Retirement was always something I dreaded. It meant I was getting old. Only two weeks ago I was in my sixteen! Now I’m in my sixties. Last year we bought a home in Abruzzo, Italy. It changed my whole prospective on retirement and now I think about long lazy days in Colledimezzo with a goofy smile on my face. I have a few years to go yet, time to practice my cooking. I don’t know if I’ll ever be able to compete with the fabulous traditional dishes that have been passed down from mother to child, but I can start with the sweet treats. So far these have been a success. On the left, Almond cookies, on the right, Italian breakfast cookies, which are very good to dip in your morning cappuccino. Shopping, shopping and eating and walking! Today started late for me, it was around noon before I made it downstairs. I think the last two days caught up with me. It is really hot and humid here too, which means lots of showers and changes of clothes. 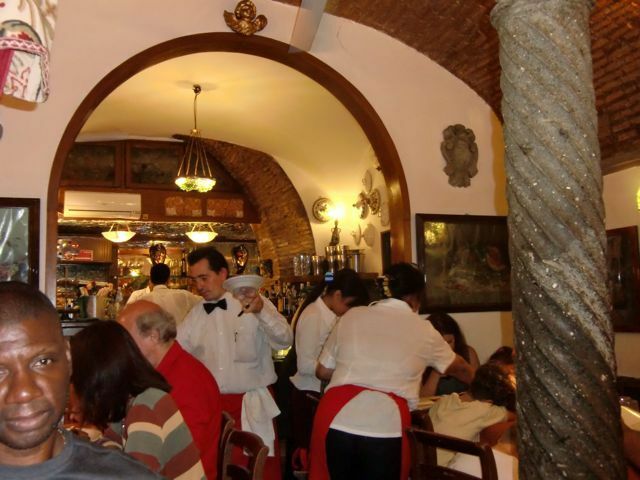 We hit the shops around one o clock, Via Del Corsa first as they stay open during Siesta time. Next we went to the famous Via Condotti with all of the designer stores. We Did a lot of window shopping and bought a couple of sale items and then walked to Piazza Del Poppola. From there we walked up the steps to the gardens of Villa Borghese. The gardens are beautiful and cool and border our hotel, so we stepped out of the gardens and right to the outside patio of the hotel for a beer. Perfect! After getting showered and changed it was back to the Spanish Steps to buy our traditional local art work. We bartered (and probably still paid too much) for a couple of oil paintings of the Amalfi Coast. Next we hit Condotti again and bought a certain member of the Thompson family a very lovely Italian made leather item which can only be bought at one particular store, on one particular street, in one particular city. After making this purchase the owner of that store called his brother who has a restaurant three blocks away, called Trente Cinque, and told him we would be arriving in five minutes. We had a fantastic meal, real home cooking, and very reasonable. Sliced octopus, seafood tagliatelle and a liter of house wine. Yum. 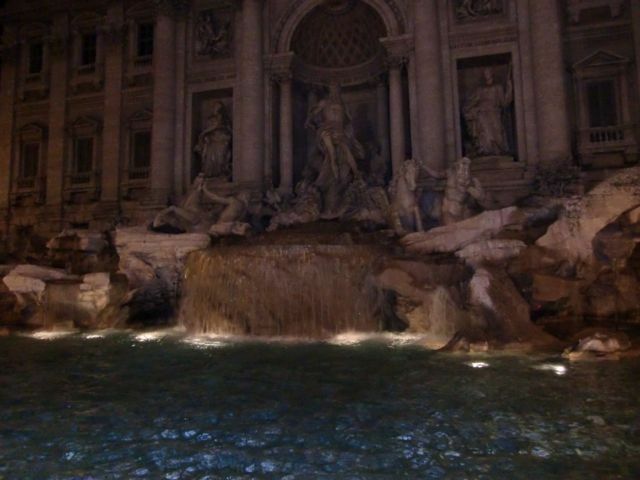 We then walked to the Trevi fountain for a night time viewing, still crowded, but what an atmosphere. We threw coins in and made a wish. Now it is 11:30 and after my blog, I will be sleeping and wondering what tomorrow brings. VIve Italia, it has my heart!